For general information on major projects, contact Larry Rubin (lrubin@admin.fsu.edu) at Project Management, (850) 644-2843. For specific project information, contact the project manager listed for the project. 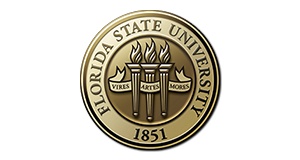 Contact Mark Bertolami (mbertolami@admin.fsu.edu) at Facilities Planning, (850) 644-2843. Contact Bill Lamb (blamb@admin.fsu.edu) at Design & Construction, (850) 644-3504. Contact Andrew Welch (ahwelch@admin.fsu.edu) at Design & Construction, (850) 644-8454. For Site Summary, Acquisition Program, and Acquisition Process, contact David Thayer (dthayer@admin.fsu.edu) at Land Management, (850) 644-7766. For Zones of Primary Interest, contact Mark Bertolami (mbertolami@admin.fsu.edu) at Facilities Planning, (850) 644-2843.